We are super stoked to be working with SUP THE WHITESHELL. 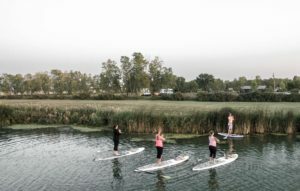 Amy, the owner of the S.T.W, is an accredited Sup instructor in Sup Yoga and flatwater Sup, offering rentals, lessons & tours out of Falcon Lake, Manitoba all summer. Contact her directly via Facebook, Instagram, or book a class with our online booking system below. Welcome aboard Amy! Take your workout to the water this summer! Check out the hottest new way to get fit on a paddleboard. Participants will learn basics of paddling and then rotate through a circuit or interval based workout on the board. Class will finish will a cool down and stretch. Class is suitable for beginners but participants should be currently physically active. Modifications for different fitness levels will be provided. Classes run Monday evenings starting in July and run until the end of August from 6:30 PM – 8:15 PM (weather depending). Sign up now using the booking form below. Enjoy all your senses in this one of a kind yoga class. Listen to sounds of wildlife while flowing and breathing through a variety of postures to help ease the stress of your work week away. Finish each class floating in savasana under a glowing prairie sunset! 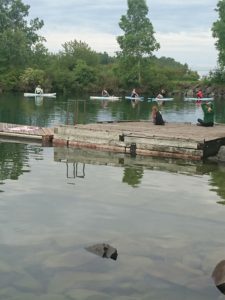 This floating yoga class is designed to connect you to the water and your outdoor surroundings as well as challenge your balance and strength on the board through yoga postures. 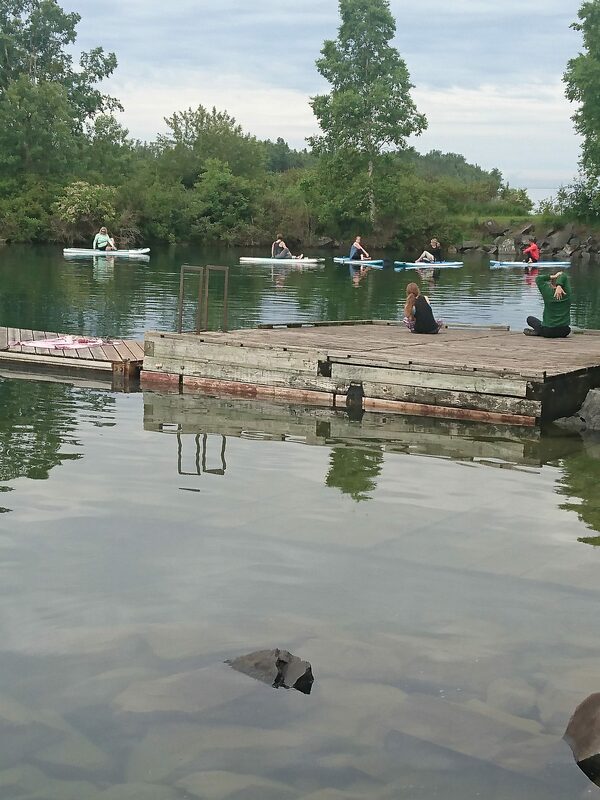 Certified yoga and SUP Yoga instructor, Amy, will guide you through a 75 min floating yoga class which will include a variety of standing and seated postures. Variations will be offered to accommodate all skill levels. 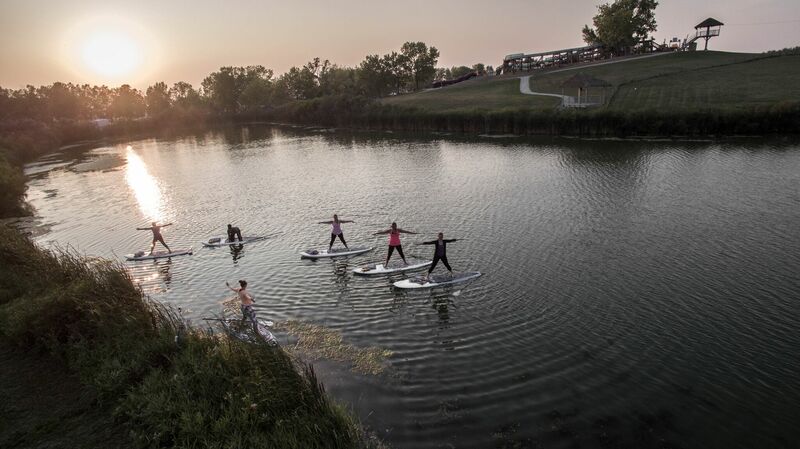 No stand up paddleboard or yoga experience necessary! If you like the outdoors, then this class is for you! Classes run every Wednesday, starting in July and run until the end of August from 6:30 PM – 8:00 PM (weather depending). Sign up now using the booking form below. Passes are exclusive to each type of class and not transferable. For example, you are unable to buy 3 classes and split them up with 2 bootcamps and 1 yoga. It has to be all 3 for one or the other. Additionally you may not share class passes with a friend. Looking for something different? Get your crew together (4-6 people) and book a Thursday night catered to you! Customized SUP yoga/bootcamp class for you and your group with a certified instructor. Bookings must be placed a minimum of 24 hours in advance. $50 per person. Contact us to reserve a custom booking. Space is limited. To ensure a spot is saved for you, sign up in advance using our online booking form below. Classes start at 6:30 pm. Please arrive on time, so that you are unloaded, changed, and ready to begin at the start time. Arriving late will cut into your instructional time, and that of others on the course. Both classes will run with a minimum of 4 students and maximum of 6 students per instructor. Course Cancellation: It is rare that we cancel a session due to weather considerations however we will do so if, in our judgement, the conditions are dangerous or are likely to present a poor learning environment. If a class is cancelled, registered participants will be notified no less than 90 minutes before the scheduled start time.